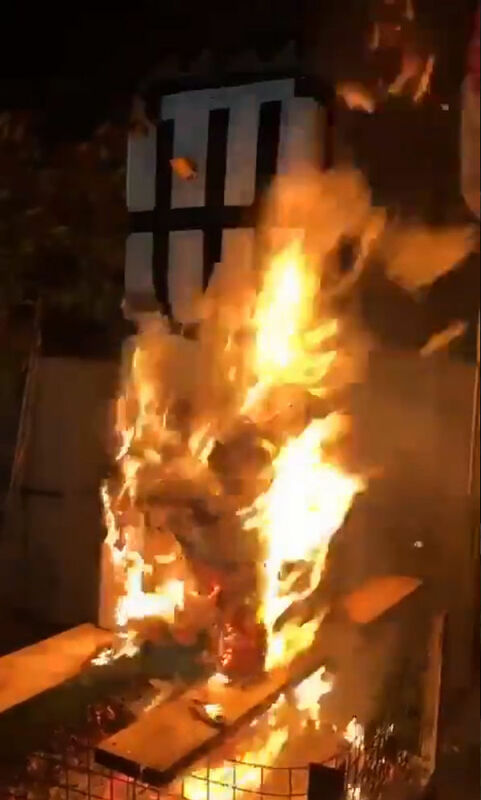 Still from video posted on social media of a model of Grenfell Tower being burned over a fire. Paul Bussetti, from South Norwood, south east London, is accused of two counts of sending or causing to be sent grossly offensive material via a public communications network. Scotland Yard said he will appear at Westminster Magistrates' Court on Tuesday April 30. A still from the video posted on social media of a model of Grenfell Tower being burned over a fire.